[quote][i]Originally posted by tamar[/i] [b]Provisional Entry list update[/b] As of Nov 28 we can add another LMP1 to the provisional entry list. Steven Schrey, Lode Schrey and Dirk Machiels of the Belgium club Slotracefriends have secured the "old" Racing for Belgium AMR DB1 for the Suzuka 6hrs WEC race. A previous race winning car, not a bad way to make your digital debut. Hello Slotters, just three weeks till the Suzuka Double Digital event, time for a final update. Not much news to report on the team and cars front, from what has been posted here and on social media. Mission 8 has decided to run the M6 instead of the 8 which was running late, no surprises there. ..you idiots...the true team work result of Stevan Verelst & his partner is their daughter Feline, born on Dec 20th 2018. Our congratulations to the whole family. Got the final ID numbers for your cars so you can pre pair them with your controllers and hit the ground running as you arrive In Best. With most teams having entered 1 car in both races (GT3 on Saturday and WEC on Sunday ) it makes sense to issue and use the same ID Nrs per team for both races. We will provide paper stickers to apply the ID's on the cars. Our treasurer was most happy to be able to report that all entry fees have been received in full, a big thank you as this helps a lot with pre financing the costs the Src Eindhoven makes for this event. Our treasurer was less happy to report that almost nobody has bothered to pay the €30 p/p for the Saturday diner reservations. Now part of that unhappiness was entirely my bad, as I had communicated that the costs were going to be €25 p/p. but still..just a few of you have transferred that amount. I guess the fear of missing out on the race was greater than missing out on a nice social dinner, which is your loss as we'll be heading for the top local Oriental place with 2hrs of all you can eat. So come on guys, if you want to eat together make that PayPal transfer to secure your place at the table before Jan 15th. Same stuff as usual ..is it? well maybe not..
Over the track from the land of the rising sun..we'll have the sun set during the last hrs of the Sunday 6hrs WEC race. Beware oh Ye who's lights only burn to satisfy the digital rules, for on Jan 27 you might actually need them to spot thou car. Well...no, don't worry it won't be pitch black like at Le Mans, it will be more like dusk after the sunset, the overhead track lightning will be turned off in the final hour(s) of the Suzuka WEC race. Just enough to give the atmosphere that little bit extra for the finish of what looks like its going to be an other great event. Just to make sure everybody gets it right: No night running during Saturday's GT3 races, full 2019 DiSCA GT3 rules apply meaning you only need headlights. We will have a "night" session at the end of Saturday's WEC free practice session so you can get acclimatized with the track in darkened atmosphere . A & B chips: no longer supported as they can't be updated to v3 firmware. As has become custom we do our best (pun intended) to pick up teams arriving on Friday afternoon @ Eindhoven airport and shuttle them to the club in Best. Those of you who would like to make use of this service...contact me via PM, facebook or email with your travel itenaries. On behalf of the Src Eindhoven. As of Nov 28 we can add another LMP1 to the provisional entry list. Steven Schrey, Lode Schrey and Dirk Machiels of the Belgium club Slotracefriends have secured the "old" Racing for Belgium AMR DB1 for the Suzuka 6hrs WEC race. A previous race winning car, not a bad way to make your digital debut. Hello Slotters, its just two months to the start of the 5th edition of the Low Lands Suzuka Double Digital.I'm very proud and pleased to be able to post the provisional entry list for the 2019 event. So far we've received 13 team registrations with 11 teams firmly securing their place on the grid by paying their registration fees in full. Although there will undoubtly be some changes amongst the cars and drivers in the coming months, it looks like we're going to have a very interesting and representative grid. With no less than 7 GT's, 3 LM P2's, 2 LM P1's and a special Garage 56 entry. We've got new cars making their first on track apearance in every class. With seven entries the Grand Tourismo's have become the most popular class in the WEC. The 2019 Suzuka grid sporting a wide variety of makes, Porsche will be represented by two teams, with Racing for England switching over from LMP2 and Road Kings opting to give their Danish drivers some the track time in their Pink Pig. DiSCA regulars North Staff returns once more with their trusted SRT Viper as do Dutch Slipstream with their 2018 F488 and Src Eindhoven locals 50+ with their Bentley Continental. For their return to Digital racing the German ProSpeed team have chosen the Corvette C7R, most likely a combination of a NSR body with a 3DP ProSpeed chassis. Last but not least, Mission#8 is working flat out to give their all new BMW M8 GTE its first run @ Suzuka with a BMW M6 GTE as plan B. By claiming pole and 3 of the top 4 spots overall during the Rockingham 6 hrs, its safe to say that the LMP2 class is finally starting to fulfill its performance potential. A year later than originally planned Racing for Belgium will pitch its SV Workz Oreca against the British Pescarolo's of Sportscarazing and Hopeful Six. Besides expected fireworks with an in class battle these teams will definitely form a big challenge for the GT's and it would not surprise me if they got a good shot at gunning for overall honors as well. They say you need just two horses to have a race, which is exactly what the sole two LM P1's on the grid are going to provide. What they lack in quantity they make up in quality. Rockingham's Toyota LM P1 has been a leading factor in the class for many years. Their TS030 finally broke its duck @ the Rock Bull WEC race. In what will most likely be the TS030's last race (before switching to the TS050 for the LM 24hrs) they'll be challenged by the new "Hybrid Racing" Peugeot 908 LMP1. This GRP bodied Peug with a 3DP chassis prepared by Kim Maslak will be driven by the dutch squad of Road Kings drivers as part of their preparation for the Le Mans 24hrs. Expect multiple LM winner Sebastiaan van Altena pulling the trigger for pole and top honors. The Nissan Zeod has been a pet project of both Steven Verelst (SV Workz) and Stefan Kievit (S-Slot). Last but not least we're very happy to welcome a absolutely unique car, so unique in fact the we've created a seperate class for it...Garage 56. 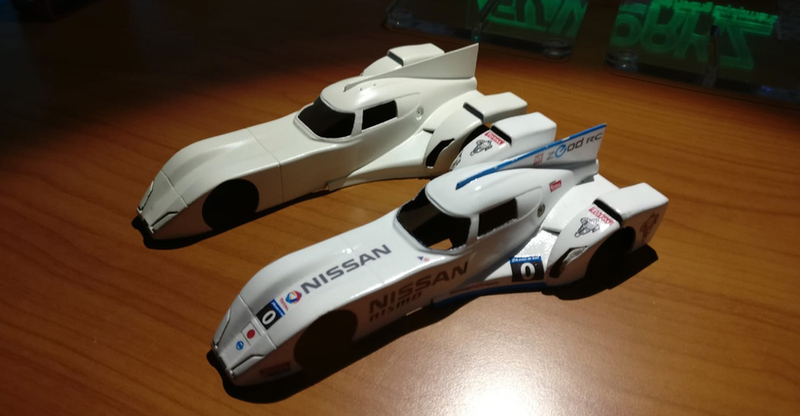 As the only car to have lapped the 1/1 Le Mans circuit on electric power, the 1/32nd Deltawing will have no problems doing so over and over again. Clad in white this could very well be the "dark horse" of the Suzuka 6 hrs. So that's it for now, 13 registrations, just two more places open on the grid after which we'll be adding Teams to the reserve list. But, as I mentioned before, this list with its car ID's is stil provisional, depending on registration fee's being due for some teams by Dec 1st. For the 5th time the SRC Eindhoven will host the Dutch Digital event on the renowned Low Lands Suzuka Ninco track in their spacious club on the Sint Odulphusstraat 2b, 5682 AB Best, the Netherlands. As in 2018 the event will sport a double feature with GT3 racing on the saturday and the Suzuka 6hrs WEC endurance on sunday. The Low Lands Suzuka Double Digital is a perfect opportunity for all slotracers on the Northern European continent to try Oxigen racing in an Endurance format and has become the place for the digital regulars to test their cars in preparation for the Oxygen Le Mans 24hrs in Henley in Arden.  New teams that would like to make to their debut in digital slot racing will be required to attend Saturdays practice session to familiarize themselves with the track and its digital features.The organisation can provide technical assistance and has several Slot.it controllers available for rent, should new teams require them. With the Suzuka 6hrs run under the same DiSCA WEC Sports Cars rules as used for the Oxigen LM 24hrs, it has proven itself as the perfect oppertunity for teams to test their cars for "the Big one". With its banked corners and elevation changes the Suzuka track will bring different challenges for the teams in both set up and strategy. Although most teams adapted their cars for Suzuka it was interestring to see that the top 5 at Suzuka all did score good results in the Le Mans 24hrs. With free practice staring on Friday afternoon there will be plenty of time for teams to check out the track and set-up...or not...time flies when you're having fun. Teams will be hand out 1 motor at random (Flat-6 or MX-16) These motors have been tested, matched and run in by Slot.it. Should in the unlikely occasion a motor be defective, teams will recieve a new one from the organisation. Teams will be hand out 2 pairs of N18 and 2 pairs of F22 at random. Both compounds must be used during the main race. Hand outs will be available on Saturday after registering at the race control. As in 2018 the DiSCA GT3 cars with teams of either two or three drivers, will kick off the event on Saturday from 09:00 till 14:00hrs. There will be one 60 min. Timed Practice session and two 90 min. races with one mandatory pitstop of 1 minute duration. 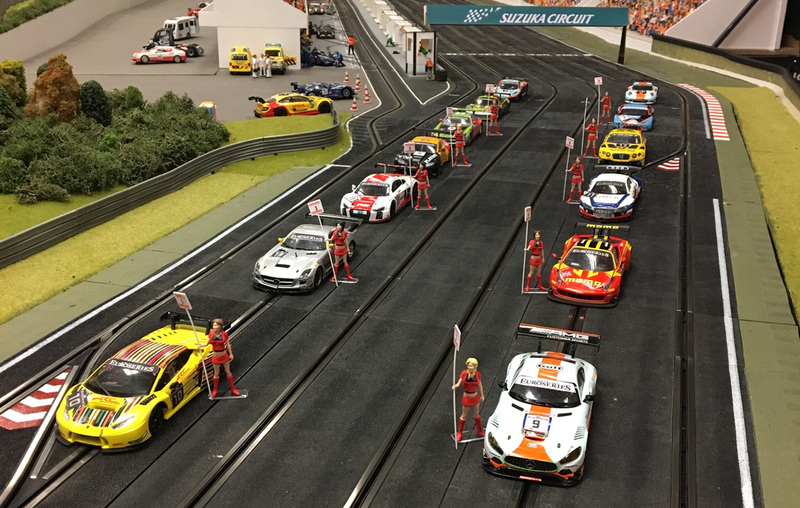 Full Disca GT3 rules will apply for the Suzuka support race. 09:15 Registration Controller & ID check. 10:35 Tech inspection and Rostrum position choice based on best time from timed practice. 11:35 - 11:50 Concourse & Team photo’s, Driver Rostrum selection based on qualification result. 18:15 - 18:30 Award ceremony . Driver rostrum during the 2018 Suzuka 6hrs with room for 15 driver positions . The Registration for the 2019 event will open on Nov 1st and will close on Nov 25th. On Nov 26th the Src Eindhoven will select 15 teams that will be accepted for the 6hrs WEC race, with a further 4 applications to be placed on a reserve list. For the selection of the teams previous participation and status of payment of entry fees will be amongst the selection criteria. Accepted entries are required to have payed their entry fee in full by December 1st, in case of non payment the first team on the reserve list will be granted an entry etc etc. Final instructions, including the final entry list, firmware for chip and controller, and any travel considerations will be issued to team captains on Jan 5th. I will be more than happy to answer any "international" queries here on the forum or via PM.